The finite element method is a flexible numerical approach for solving partial differential equations. One of the most attractive features of the method is the straightforward handling of geometrically complicated domains. It is also easy to construct higher-order approximations. 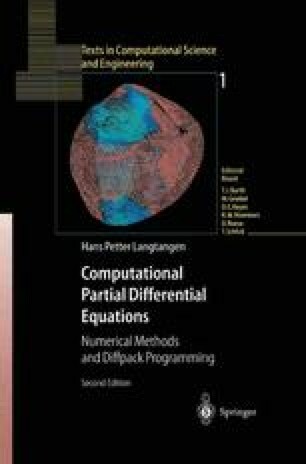 The present chapter gives an introduction to the basic ideas of finite elements and associated computational algorithms. No previous knowledge of the method is assumed.